Best Time to GO: May - October. If you'd like to experience harvest you should visit in the Fall. There are four commercial airlines that fly regularly into Sonoma County's airport (STS), but most people fly into SFO and rent a car. If you are heading straight to Napa, we suggest you take the Bay Bridge. However, if you've never seen the Golden Gate, it could also make sense to go through the city for the opportunity to drive over the iconic red bridge. If you want someone to do the driving for you, we recommend Rixos Transportation for their approachable drivers and range of options. Booking transportation is especially important if you have a group that wants to be in the same vehicle for a day of tasting. Clearly there is opportunity to drink and drive in wine country, but please don't. Schedule time to eat, share tastings, pack snacks, or just hire a car. While in some locations you may struggle with the cell reception, this area was one of the first in the US to embrace Uber & Lyft. Both are great, but don't expect them to knowledgeable on wineries or traffic. 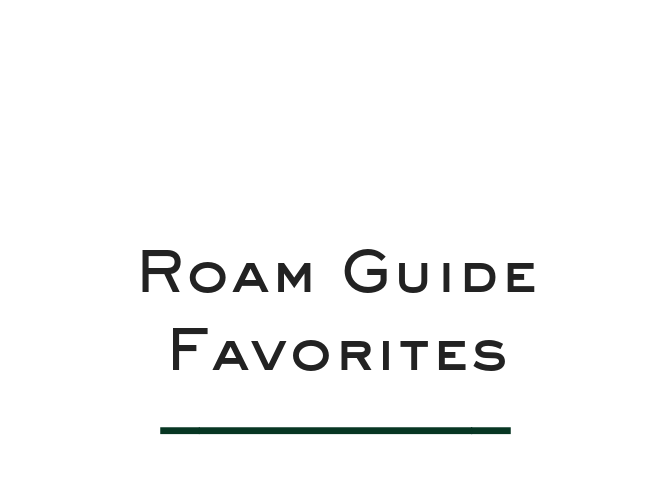 RTip: Check out our post on Sonoma County for suggestions if you want to combine your visit, as well as to learn the best stops if your journey takes your through San Francisco. 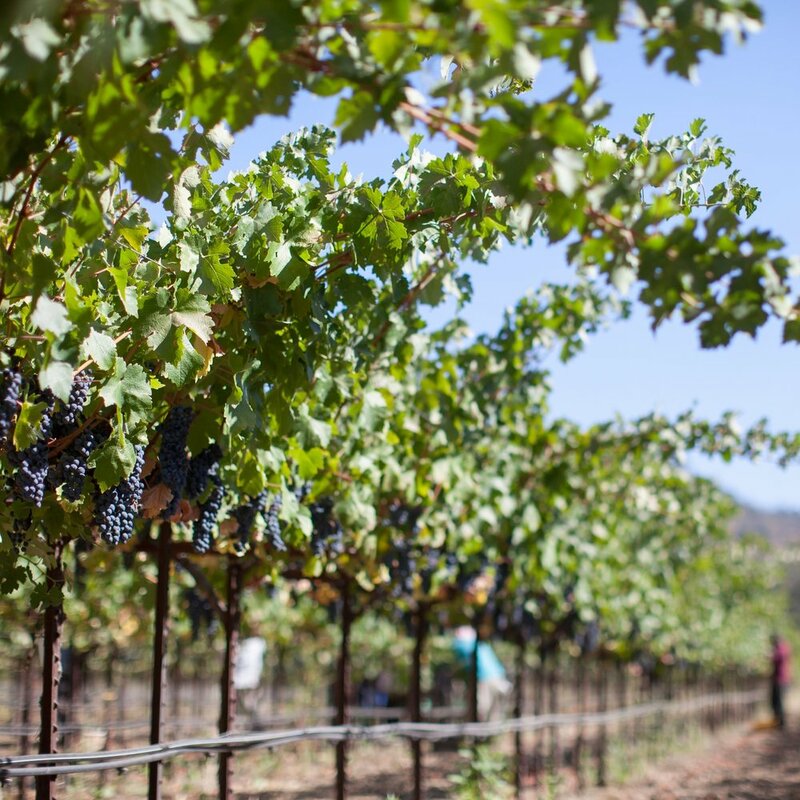 Napa Valley has almost 50,000 acres of vineyards and more than 300 wineries. There are also 16 sub-regions within Napa Valley, including two that overlap into Sonoma and Solano Counties. But did you know that there is a wine that allows you to taste the them all? Thirteen Appellation was first produced with the idea of creating a wine from the fruit of all Napa’s sub appellation. The thinking was that each wine taken separately has its own unique colors, aromas and flavors, but when you combine them you get a decidedly rich complex wine. Their motto was “The parts are great, but the sum is even better.” When this label launched, there were 13 sub appellations in the Napa area; as a result their first few vintages were appropriately titled “Thirteen.” As additional sub appellations were approved, vintages were then called Fourteen and Fifteen appellations. Currently this wine is simply named, Appellations and it's distributed and tasted at the Italics winery. (Source: the Napa Wine Project). Because we are long time fans of the Reynolds Family Winery, where it all began, I have several bottles of Thirteen Appellations in my cellar. Come on over and taste the diversity of the Napa Valley. RTip: For the ultimate learning experience in Napa, consider visiting what we fondly call the Norad of science in wine-making, Palmaz. Or think about booking a 90 minute barrel blending experience at a winery like Conn Creek or Paraduxx, where you get to blend, bottle and label your own wine. 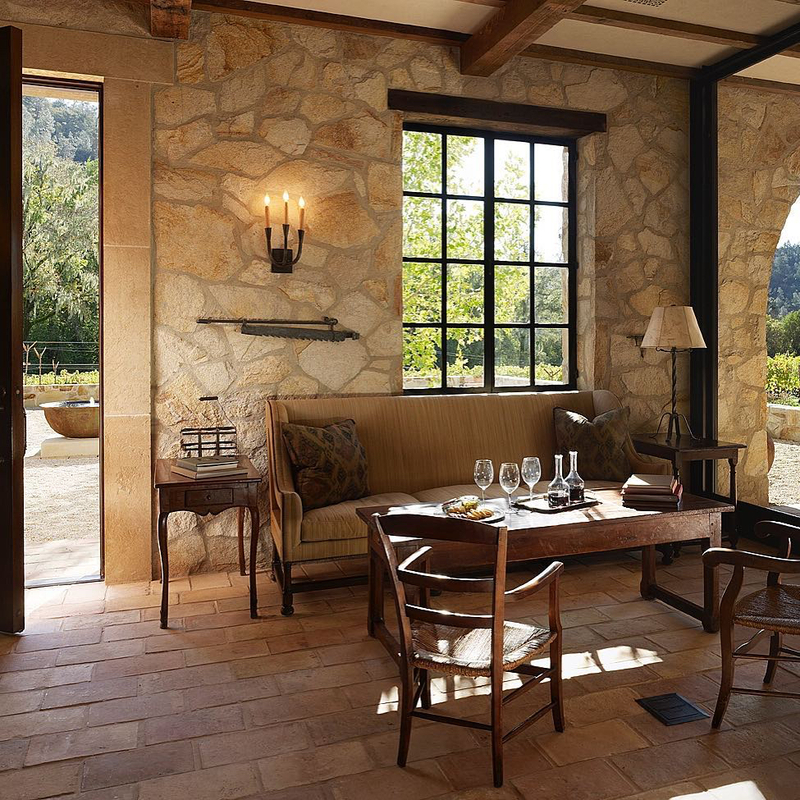 Formerly the Napa Vineyard House, the Napa Vineyard Inn is centrally located in Yountville. As the smallest of my recommendations it only has 5 guest rooms tucked inside a lovingly restored farmhouse, each with their own fireplace and soaking tub. They offer a shuttle into town, tastings by private car and free access to bikes. They also have an a-la-carte spa, a vineyard lounge, and multiple outdoor fire pits. The best part is the privacy of the inn and the morning delivery of Bouchon Bakery (pastries, fruit and oj) right to your front door at 8am. This luxury hotel, with a bed and breakfast vibe, is run by the couple who owns Hall Winery and the same family of Walt Wines in Sonoma. This is a wonderful way to extend your tasting experience in a more intimate environment. They offer daily continental breakfast and evening wine and cheese pairings, and they will send you off with all kinds of personalized recommendations. With only 41 rooms and a range of options (one that combined can sleep up to 6) this is a wonderful boutique property. We favor the renovated king rooms, near the pool and spa, inside the historic Parker Mansion dating back to 1870. This two-bedroom 1930's Mediterranean cottage is listed on the historic registry, and is as charming as it is comfortable. 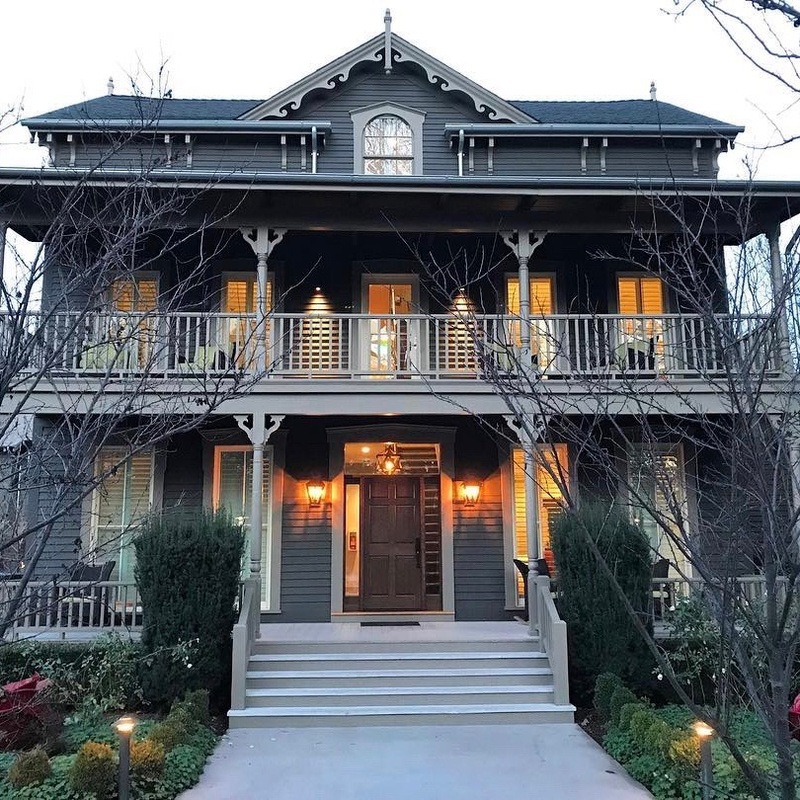 Within walking distance to downtown Napa, with off street parking and it's own bocce court this is a wonderful option for two couples on a mini-break in wine country. RTip: After a day of tastings, head into downtown Napa to the Oxbow Public Market where merchants host locals' night specials, like Hog Island Oyster Bar's half-priced oysters on the half shell. Or grab one of the delicious burgers at Gott's Roadside. Wine country favorite of my husband and I, is the historic and idyllic Indian Springs Resort in Calistoga. We've long appreciated it's bungalow style, individual accommodations and the unique mineral pools, naturally warmed to 92 - 102 degrees year-round by the earth's core. Recently they have gone above and beyond with the addition of an adult pool and a restaurant. All this, and they continue to keep their rates affordable. Sam's Social Club has an expansive outdoor lounge under strands of twinkle lights, offers a full bar until 10, and box lunches to go. Also worth mentioning is the geyser-fed meditation pond, outdoor fireplace and onsite spa. Heaven in the hills of Napa Valley. You should always have your wine tasting itinerary mapped out when you start your day, planning for 3-5 stops, beginning around 10am, and allowing a min. 1 hour for each visit. In general, we favor the boutique wineries, less widely distributed, and not considered "everyday" at our table at home. However, we take a slightly different approach to exploring Napa vs. Sonoma, in that we schedule more reservations and less time for spontaneity. This approach offers a built-in avoidance of crowds and a more intimate experience overall. 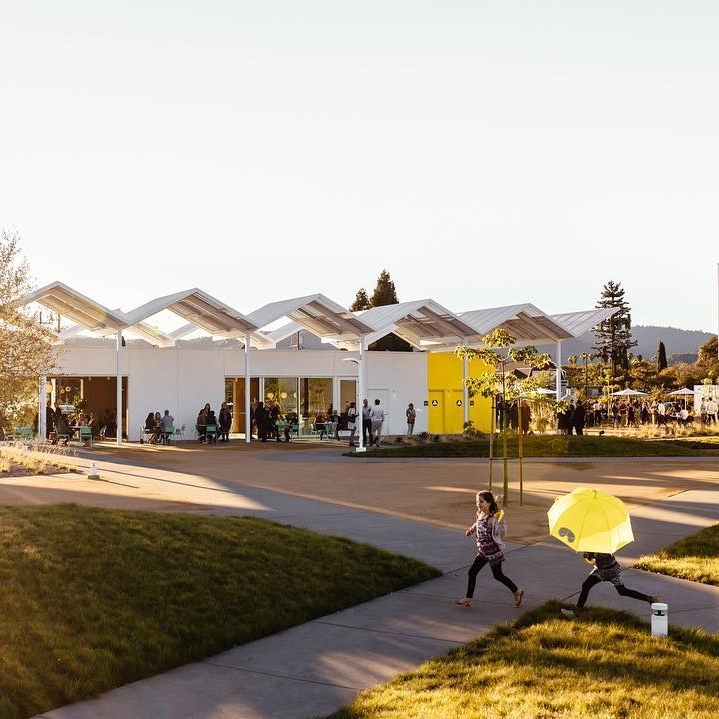 If you are trying to get the most out of your day, consider the added flexibility of a winery like Hill Family Estate where they are open to walk-ins, centrally located and stay open until 6 (considered late for Napa). Every winery we feature (from both of our CA wine country posts) are represented visually below and in a custom Google MyMap, so you should have no problem planning your wine country adventure. RTip: is to use Cellar Pass to discover local events and make your winery reservations. It's widely used, easily navigated and best of all free! It doesn't matter where in the world we taste, we always start with bubbles. In Napa, that's no exception. If you are overnight in southern Napa Valley we'd start at on the cozy outdoor patio at Hagafen with a Brut Rose, but call ahead to make sure it's part of their current tasting line up. RTip: is to pick up some fresh strawberries at this amazing Strawberry Stand to pair with your bubbles. In season in June and right on the Silverado Trail just south of Hagafen Cellars. Alternatively, if you are staying north in Calistoga, we suggest either Frank Family or Schramsberg depending on how you want to begin your day. Frank Family is smaller and the tasting is more low key and accessible. The Schramsberg tours are extensive, relatively formal and a time commitment, but they produce some of my all time favorite sparkling wines. Both require reservations. Bocce and picnic tables are first come first serve and exclusive to those who book tastings. However, they have a wonderful variety of offerings including a 4 wine option for $25. Organic and sustainable, Dutch Henry specializes in small lots of handcrafted wines and is incredibly picturesque. Particularly desired for it's Cabernet Sauvignon, don't forget to purchase some of their own house-made olive oil. RTip If you haven't eaten, consider picking up some grab and go at the nearby Model Bakery in St. Helena. Sandwiches, soups and pizza, or maybe even a "late bake” baguette warm out of the oven after 2pm - perfect for olive oil tasting at Dutch Henry. This small operation winery is located in the secluded canyons of Calistoga in the same area as Dutch Henry, Schramsberg and Frank Family. They are closed Sunday but otherwise offer current release tastings in the most incredible and intimate surroundings. The wine is delicious, and the people are so genuinly passionate about good wine. RTip: Is to get in on that early tasting and then head to Boon Fly Cafe for the corned beef hash with jalapeno hollandaise. If you are there on a weekday, you may even be able to catch the chicken and donuts. They don't take reservations so if you're on the move, just pick up a breakfast burrito to go. Quite possibly the best way to taste small producer wines in one location is at Maisonry in Yountville. Closed for renovations until the end of Summer 2018, this place does an incredible job with the tasting variety and customization of your experience. Even better, they have historically maintained a relationship with Bouchon which offers brunch items to pair with your wine. Behind the historic building sits a gorgeous courtyard where you can sample delicious limited release wines surrounded by laughter, art and sunshine. One of the first wineries to combine amazing scratch kitchen pairings with it's daily tastings. Robert Sinskey is at the top of my list every time we go to wine country, and not just to pick up our favorite bottles like the Maricen or the Abraxas. The terrace is expansive and even the most basic of tastings include delicious little bites. Best part, no reservation is required (unless you are a large group). If you are going to join a Napa wine club, this is it! Their Glutton & Gourmand membership includes a culinary gift item with every shipment and often has a waiting list to join. Totally off the beaten path, Chapallet is known for it's amazing reds (and again with the Chardonnay). This winery is quite possibly perfect. Affordable, romantic and quite special, this appointment only experience is top notch. The staff is approachable, humble and knowledgeable, and the wine is excellent. If you plan to visit, slot it into the last half of your day so you don't feel rushed to leave (and in case you get lost). RTip: Ask the winery to direct you to the members-only picnic area and scenic overlook, which arguably offers the best (private) views of the valley. They are likely to share the space with non-members, if you ask really nicely and they aren't preparing for an event. If you want to feel like you are in the French countryside, surrounded by the sounds and smells of the vineyard, make a stop at Swanson. While they offer tastings in the whimsical sip shop and the formal salon, be sure to spend some time sipping wine and eating chocolate in the courtyard. At one time they sold the hard to find Selleti wine glasses that we now offer on our shop page. Get them before they're gone. Linger the afternoon away on the lush grounds of this family-owned winery. Go for the Signature Seated Tasting at a private table on the back porch of The Vineyard House, where the entire wall opens up to the outdoors. Afterwards sit in the Adirondack chairs on the expansive front lawn and say hello to Abbie, the vineyard dog. If you call in advance, you may be able to convince the winery to pull out their custom bag toss to play while you enjoy the lovely gardens. RTip: the dogs at Hagafen Cellars, Saintsbury, Dutch Henry and Kelly Fleming are also quite adorable. Check out all the winery hounds in the latest, Wine Dogs of California. Winery based wine clubs are amazing, especially if the varietals suit your preferences. However, the bottles that generally ship from my individual producer wine clubs are not on my table daily, let's just be honest. So if you are going to sign up for a club, consider Sip Better out of Minneapolis. The price point is perfect for everyday drinking, the shipments are individualized based on your personal palate, and the value comes from a variety of family-run international wineries, vetted and recommended by your personal sommelier. RSommSays: Use promo code READYROAM for a free bottle with your first shipment. Exactly as the website describes, they serve box lunches to-go Thursday to Saturday during lunch hours. True to its name “Addendum” is an addition or footnote to the Ad Hoc family of restaurants, serving hot Southern comfort food including buttermilk fried chicken, BBQ ribs and pork, and you can order ahead online. This is my favorite place to grab gourmet sandwiches and panini's for a picnic. Also perfect to stock up on road snacks like wine snaps, mixed nuts or deli salads. They even have an espresso bar. It's the perfect halfway point in your day, and on the map between downtown Napa and Calistoga. RTip: Is to picnic at Hagafen Cellars or Clos Du Val (which also has bocce). Either winery is within 12 minutes of the food options mentioned above. You can decide based on your level of hunger and ability to plan ahead. Since we're talking mid-day sustenance to fill your belly, sometimes it's best to just grab some street tacos and keep on tasting. This taqueria at the back of a Mexican deli is authentic and delicious. The carnitas are crazy flavorful, and be sure to order everything "super" so you get extra sauce. RTip: Kindly ask your driver to pick-up the tacos and bring them to you, while you are inside tasting at either, Swanson or Frog's Leap. Efficient and tasty. 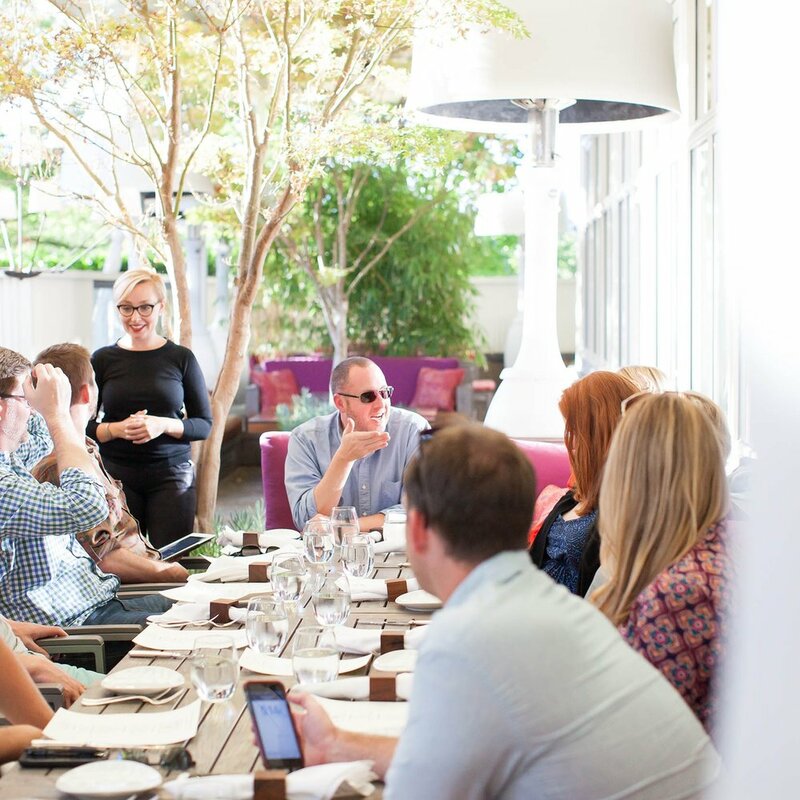 With an expansive patio and magical garden space, this steak and seafood restaurant caters to groups in St. Helena. All meals should begin with their bacon sampler and end with the buttermilk Panna Cotta. In between, we suggest stacking your grilled steak with one of the amazing extras like the truffle butter or a farm egg, and sharing sides like the Lobster Mac & Cheese or grilled artichokes. Just don't drink too much and miss it. Years ago this was the Martini House, and believe it or not it was first suggested to me by the cashier at the Banana Republic factory store in Napa. To this day it remains one of the best restaurant suggestions I've ever been given. Even under different ownership and name, this is my go-to nice dinner. Awesome craft cocktails, in a country club-like environment, complete with an outdoor patio and library basement bar. Make a reservation, go early for a drink, and do not leave without ordering the house mushroom soup. Equally yummy is the 'Figs, Pigs & Foie' or the corn croquettes. For dinner, I'd order the burger with a duck egg or the poached sea bass. Wow! RSommSays: to pair these rich and fatty food suggestions with the Billecart Samon Brut Rose. To take Leslie's words, certifiably delish. Whether you sit inside in the gorgeously lit, chic dining room or outside in the courtyard among the citrus trees, this laid back but ridiculously delicious spot needs to be on your list. It's equal parts affordable and yummy. While the pastas are handmade in-house and the pizzas are wood-fired, I'd strongly recommend you go for the meats. The crispy chicken wings are incredible (and that sauce! ), the charcuterie is out of this world, and the rib-eye is worthy of a steakhouse special. RTip: is to consider staying next door at the 20 room, North Block Hotel on your next stay. House-made granola and a bottomless cup of coffee, need I say more? This is your go-to if you are north in Napa valley. Their flagship location in downtown opens at 6:30am. They roast their own beans and offer almost 20 different made-to-order espresso drinks. They take a daily delivery of pastries, cookies and donuts from local bakeries, with a second location in St. Helena. We always take a cross-body to be hands free for tasting. Belt bags are the new thing, and we love the day to night versatility of wearing it around your waist or across your chest. This backpack cooler is perfect for transporting snacks or keeping wine chilled. If you are traveling home with a few bottles you can pick up a jet bag or take a custom suitcase which carries 12 bottles home. If you don't have room for a picnic basket like this cute one from Terrain, just pack an opener instead. On our next visit to wine country we are going to carve out some time for a full winery meal. Our first choice will be the Ashes & Diamonds Wine+Food experience, which includes six wines and a five-course lunch prepared by in-house chefs. Another one to consider is the Chef's Table at Long Meadow Ranch, where you start with a walk through the culinary gardens to get a sneak peek of what they are growing for your meal. Additional options include the boozy Sunday brunch at Round Pond, or the lovely Lunch Pairing at Brasswood, a small production winery that also runs a restaurant and bakery. Click below to interact with My Maps and see everywhere we explored. Alternatively, click here to download my favorite printable winery map, courtesy of WineCountry.com.